"After calling several realtors and being ignored, we were extremely blessed to find the best realtor in Oahu…Jaymes Song. 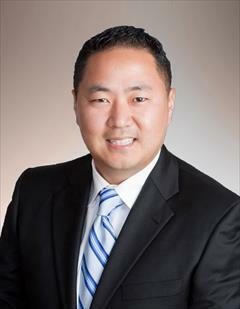 Mr. Song knows the market extremely well, he is diligent, responsive and very patient with his clients. The service we received from Jaymes was exceptional! We couldn’t have asked for a better Realtor to guide us through the entire process. What else can we say? He is the BEST! We are really thankful for the time and dedication he put into helping us to find our perfect little home! We are so happy with the home we purchased and could not imagine living anywhere else." "Jaymes took time to explain the sale process to us from start to finish. He also was very patient with us by answering questions that we had. Throughout the entire process. ... We place our home on the market and only after ONE open house our home was in escrow. Jaymes priced our home competitively so that we were able to get top dollar for our property. Jaymes absolutely exceeded all my expectations in selling my home. He is genuinely passionate about his work and is truly one of the best realtors Hawaii has to offer." My commitment as your Hawaii REALTOR® is to provide you with the specialized real estate service you deserve. When you are an informed buyer or seller, you'll make the best decisions for the most important purchase or sale in your lifetime. That's why my goal is to keep you informed on trends in the marketplace using the latest statistics. With property values continuing to rise, real estate is a sound investment for now and for the future. As a local area expert with knowledge of the communities on Oahu, my objective is to work diligently to assist you in meeting your real estate goals. If you are considering buying or selling a home or would just like to have additional information about real estate in your area, please don't hesitate to call or e-mail me. Jaymes Song is a top-producing real estate professional, committed to providing the highest level of service, professionalism and attention. He is ranked in the Top 1.5% of 10,000 Better Homes agents nationwide and earned the top Emerald Elite award in 2014. He was twice named "Hawaii's Best" Realtor (2014, 2013) by readers of Honolulu Star-Advertiser, the largest newspaper in Hawaii. He was also twice named "Best in Real Estate" by HONOLULU Magazine (2015, 2014). While in the Prudential network, he earned the prestigious Fine Homes InternationalSMdesignation for his work in luxury homes. He was named to the Leading Edge Society for his production in 2013 and 2012. A native of Seattle, Jaymes was introduced to real estate at a young age by his immigrant parents, who invested in real estate to provide a better life for their children. Jaymes now lives in the Portlock area and enjoys spending time with his two young children. A former journalist, Jaymes was a reporter at The Orange County Register, Honolulu Star-Bulletin and rose thorough the ranks to overseeing news and operations for Hawaii and the Pacific Rim for The Associated Press. He covered everything from deadly natural disasters to presidents, making his mark as an aggressive, innovative, award-winning newsman. Jaymes is committed to keeping the same philosophy as he educates clients with the most up-to-date and comprehensive information so they can make the best and most informed decision.